Precious Metal Mutual Funds | Crank It! Precious metal mutual funds are becoming increasingly popular as an easy way to participate in the precious metal bull market that has already lasted over a decade. The outlook is for the second decade to be even more explosive than the first, as people pour into gold funds and silver funds. Let’s take a look first at some sound fundamental reasons for the expectation that precious metals will continue to rise. After that, let’s look at a couple of good options worth consideration. Precious metal mutual funds stand to benefit from the projected rising price of precious metals, as anticipated on a large scale from countries like India and China. A major indication of future rising gold prices is China’s attitude toward precious metal as a real, hard asset. On the one hand, China is producing nearly 10,000,000 ounces of gold annually, pushing it above previous top producers like South Africa. On the other hand, China has been taking foreign exchange reserves and purchasing gold for nearly a decade. Gold reserves in China are now near 35,000,000 ounces, and this represents a 30-fold increase in gold holdings compared to 20 years ago. Despite these strides, China still holds a miniscule amount of reserves in gold. It’s somewhere around 2%. Other major countries might hold sixty or seventy percent of reserves in gold. What’s interesting about this is the fact that China’s reserves are constantly expanding. As a result, China has to continue to buy gold at a voracious pace just to maintain this pathetically small gold to reserve ratio. For China to increase its gold to reserve ratio, it has to consume massive, massive quantities of gold. The precious metal appetite of the Chinese people represents another reason mainline investors may be drawn to precious metal mutual funds. Not only is the Chinese government amassing gold, but it is also advocating that its citizens put a minimum of 5% of their assets in precious metals. What’s particularly noteworthy about this is the fact that the Chinese people do not receive government welfare payments in the form of Social Security or retirement benefits the way Americans are used to. 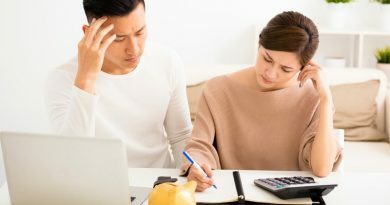 Without this safety net to fall back on, or rely on completely, it’s critical that they take the steps necessary to safeguard their wealth and plan for their financial future. Whereas resource speculators and “gold bugs” are marginalized as fanatics in the United States, that’s not the case in China. In China, their billion people routinely purchase precious metals. Metal is available at banks, post offices, and other places. Truth is, the Chinese people pushed gold demand past India in 2009, as they collectively became the world’s largest retail buyer of gold. There’s every reason for this trend to continue. India, along with China, is already drawn to gold for both religious and cultural reasons. 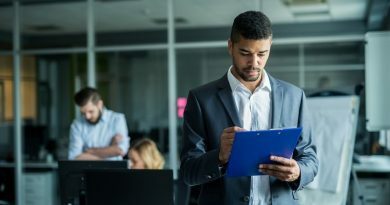 As these countries continue to develop, their expanding economies are creating an ever increasing, disproportionately large number of people who are earning more money. Unlike Western nations, these Eastern countries tend to be better at saving. 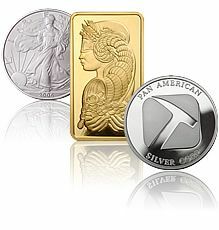 As the middle class expands in these nations, so will the appetite for precious metals. An expanding demand, in light of relatively steady supply, is enough to push prices much, much higher. Even people not used to, or experienced with, buying precious metal can use precious metal mutual funds as a more familiar vehicle to get in the game. 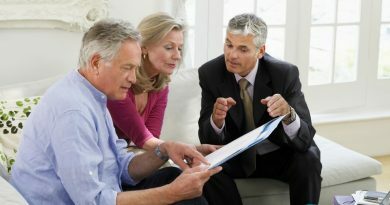 Precious metal mutual funds can be viewed as one type of the more general precious metal fund. Metal funds can include strict bullion funds and metal storage programs, ETFs, and mutual funds. Unlike an ETF that tracks physical metal, precious metal mutual funds are more analogous to ETFs that follow an index of mining stocks. Rather than focusing on the metal, they focus on the companies that produce the metal. Precious metal mutual funds are distinct from ETFs that follow a basket of mining stocks in some significant ways. On the down side, they tend to be expensive to own. It’s not uncommon to find an expense ratio of 1.5% or so. ETFs, on the other hand, might be.5% to .7% or so. Also, the mutual funds have to have a daily net asset value calculated, and so you can only buy and sell them at the end of the trading day. There are no real time quote offered, obviously, and you cannot buy put and call options on the mutual fund. It’s also typical for there to be a minimum investment requirement. For instance, some of my favorite mutual funds have a $5,000 entry fee. Aside from the minimum investment, most of these are not really a big problem for the type of customer interested in mutual funds. Opposite the drawbacks, there are some significant positives. A big one is the fact that the mutual fund is actively managed. There is a professional money manager buying and selling the precious metal mutual funds’ holdings. This is drastically different from an ETF that is locked into tracking an index of mining companies. If one of the companies in the index goes south, it will pull down the performance of the ETF anchored to the index. By contrast, the mutual fund manager is able to buy and sell companies as news, developments, and other factors dictate. This active management can make a huge difference in returns. A good choice for producing miners is the U.S. Global Investors Gold and Precious Metals Fund, which you’ll find under the symbol “USERX.” By focusing on existing producers, you minimize the downside risk of a company coming up empty handed and either vanishing or else extending their time horizon to do something spectacular. Of course, you also eclipse the joy of participating in stories of legendary returns that can reach 5,000%, 10,000, and even more than 50,000%. Whether you are looking for precious metal mutual funds holding large producers, or prefer exploration companies looking to land the next world class deposit, you have choices. If you want to get exposure to the smaller explorers, the counterpart fund to USERX is the U.S. Global Investors World Precious Minerals Fund (UNWPX). It’s actually reasonably similar to USERX in that 80% of assets are in larger producers. However, the remaining 20% is allocated to junior resource companies. UNWPX has won numerous awards as one of the top-performing precious metal mutual funds in its category. ← Time for Gold, Now?